What a great way to use up scraps! 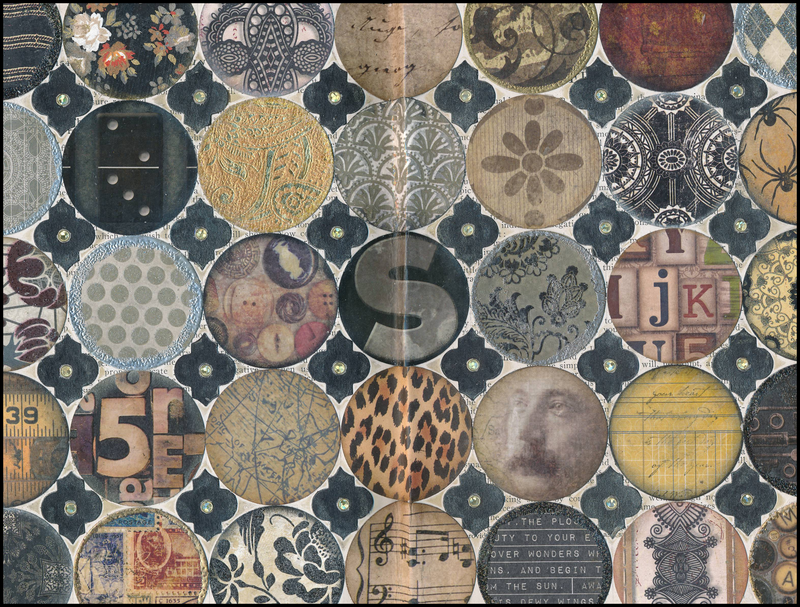 Here, I punched circles from paper scraps that matched the colour scheme of this art journal. I treated the edges of the circles with melted embossing powder, ink, or paint — and then adhered them to the page in a pattern. The black shapes that fill the spaces between the circles were cast-offs from a die from the Tim Holtz collection. Although this page doesn’t include any words or images, I think it’s quite striking! I love this one Janni, it’s different for you. Thank you. It was a fun page . . .